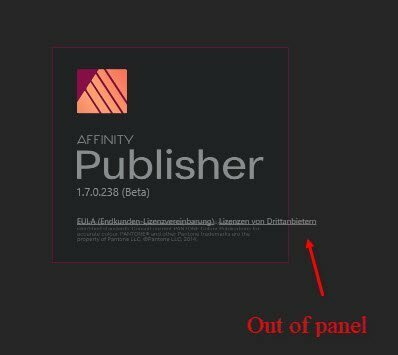 The current Affinity Publisher Windows public beta has all UI locales available now, (so is no longer restricted to UK English). 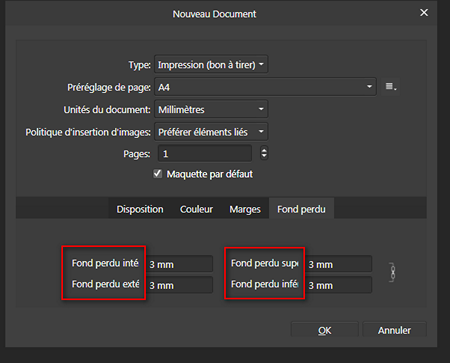 In the Edit menu > Preferences > General you can choose any of the 10 languages, restart the application and experience Affinity Publisher in that locale. 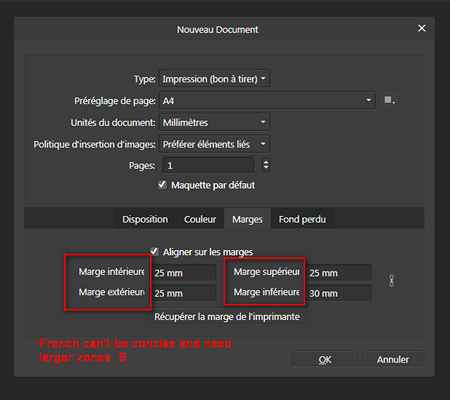 We do not expect to have got all the localisation correct yet and possibly we are not using the standard terms, so if you see any words or phrases that are out of the ordinary, or are clipped/cropped short in the Windows build PLEASE report them in this thread, stating the language and version you are running and what OS you are seeing the problem on. Unless?? Aren’t bugs which don’t happen in English but do occur in other languages precisely what this “localisation” thread is for? We’re hoping to distinguish between functional issues, which would be best logged with the dev team, and pure translation issues - e.g. labels still in English, incorrect translations and cosmetic layout issues, which would be logged with the translators. 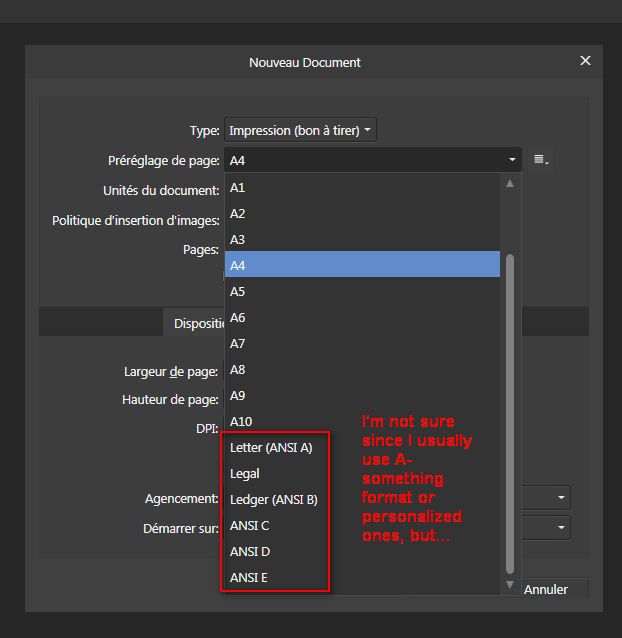 Huu… I'm confused too… I can post french localisation bugs here? I don't know if it's related to (missing?) 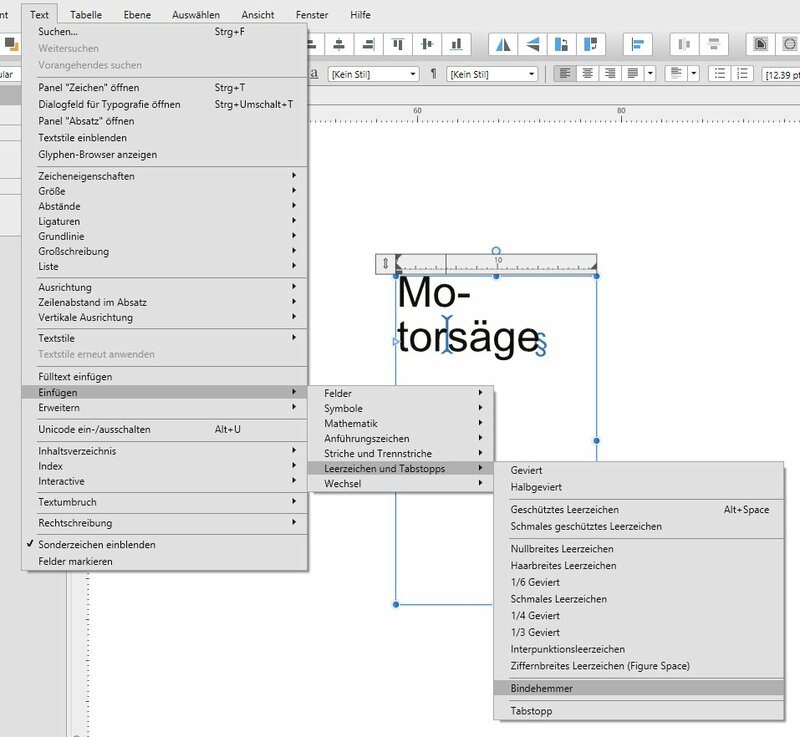 localisation, but I can't open the Studio menu to display options, when the cursor is on Studio, the menu View and what seems to be a try to display the Studio's option disapear. 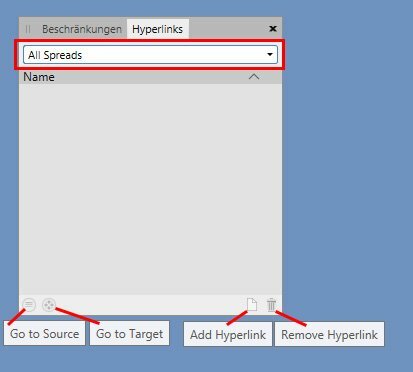 (Work around: setting shortcut to display the missing panels). 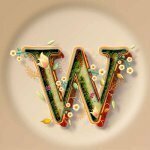 A little thing i found in Topmenu --> Text. I can only speak for the german language. 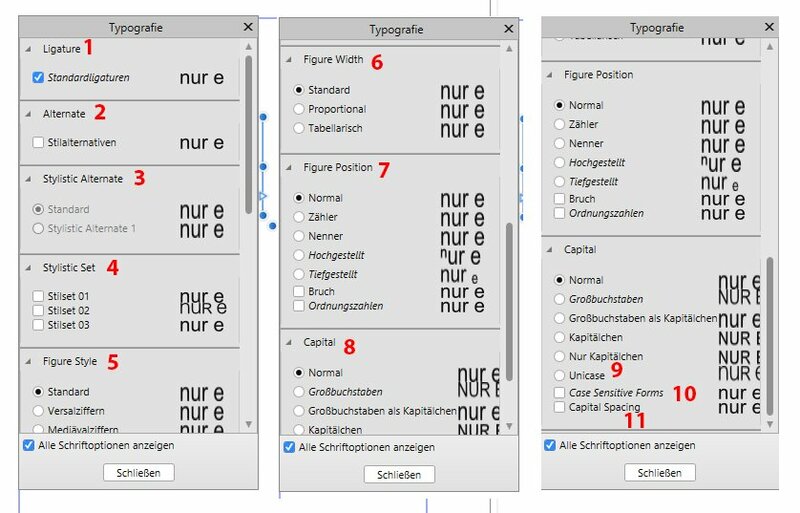 Panel paragraph (Absatz), area hyphenation (Silbentrennung). A few descriptions on the left side are cut off. 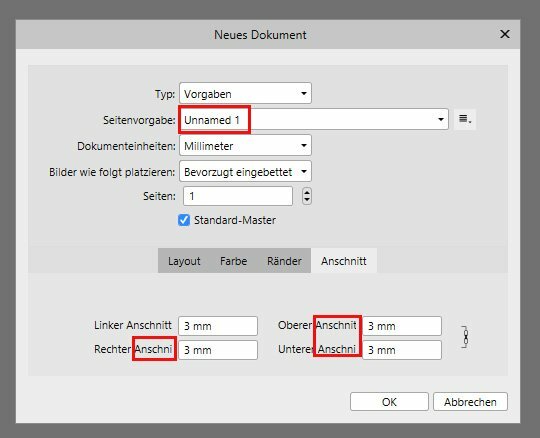 Panel fields (Felder), area Continuation is not translated into German. I don't even know what this is meant for in English. 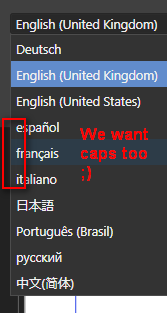 Wouldn't it be a good idea to split the localisation issues into different languages? Maybe easier for the devs to track down the changes/errors? At tab bleed characters are cut off. We are already on tab Anschnitt, so you don't have to repeat it. Just name it Links, Rechts, Oben, Unten. Same applies for when Gegenüberliegende Seiten (Facing pages) are set. Just name it there Innen, Außen, Oben, Unten. Seems to be missing in help section completely? Create a Ring (donut) from the toolbar and paint it. In the upper left corner it is now called Torte/Ring. Deselect the donut and select it again, then it is only called Ring. 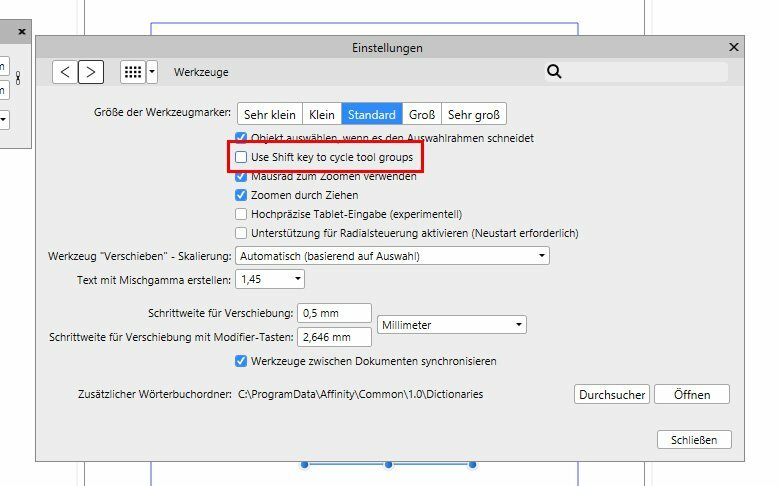 In fact donut and pie share the same functions, but still when it is called Ring in the toolbar the button is called Torte schließen, which should be here Ring schließen. 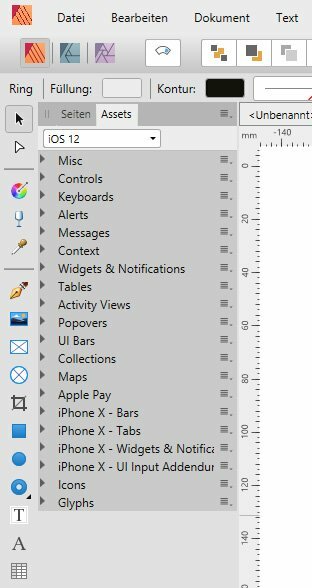 The assets iOS 12 are not translated, but I don't mind, because I will never use them. I guess they were used as placeholder to show how things are working? 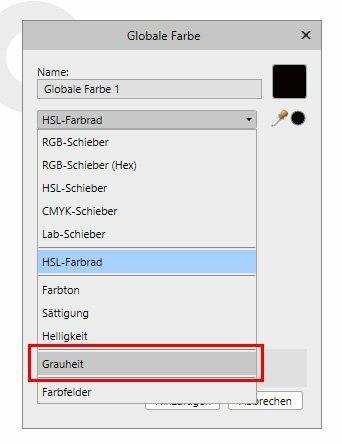 In every place where colours are used the term Grauheit is used. I would recommend Grautöne. 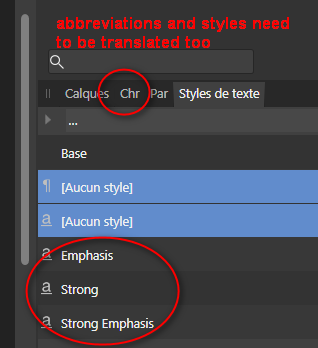 This translation (and functionality) might be confusing, because this preference can only be used for text and for the various shapes. Is there a special need for an extra preference? Quite the same as above, but might be wrong translation and/or bug? 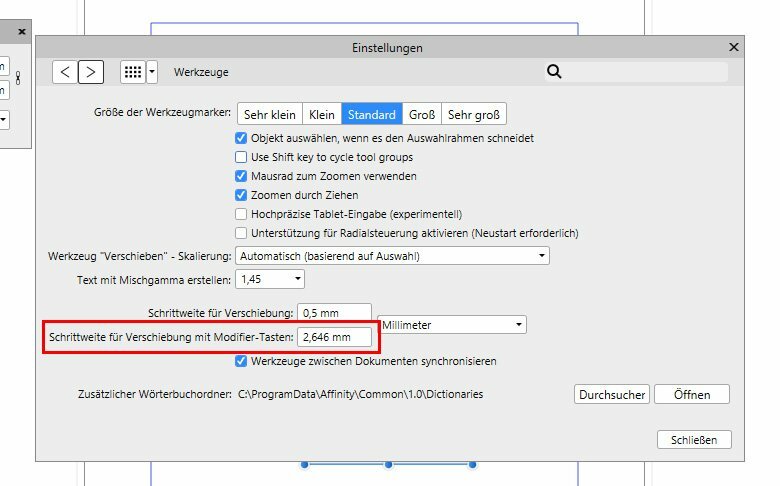 Schrittweite für Verschiebung mit Modifier-Tasten is Modifier Nudge Distance, which means that the object is moved when I use e.g. SHIFT key + arrow down on the keyboard? Is the SHIFT key the only modifier available? You talk here about Tasten, which means plural, but I can't find any other modifier to move. Then I would replace Modifier-Tasten with Umschalttaste. So here come to the bug? 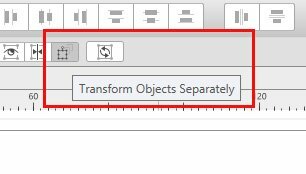 If I press SHIFT + arrow down the object is moved only 0,847 mm down instead of 2,646 mm set in the preference. Update: I you fill in your own value e.g. 2 mm then the object is moved the correct distance. Panel Fields (Felder). When this panel is displayed, it is too small, some words are cut of. 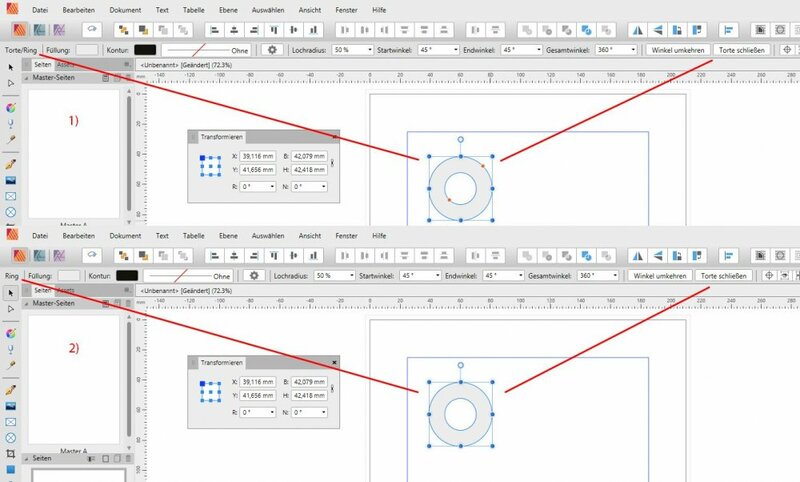 Maybe it would be better, when the text is left aligned and the values are right aligned? 7 = What is the function for this line? Does it mean last page of the document? Text ruler. The boxes on the right seem to be cut off. In English it looks a little bit better ... but not good. Bindehemmer? Sounds to me like a chemical term. What it is doing is to prevent hyphenation at the place where the Bindehemmer was inserted. In my opinion there should be a better way of preventing hyphenation. Perhaps I want to prevent hyphenation on the complete word Oberpostdirektionsstempelautomatenmechanikerlehrling. So I have to place the marker whereever a hyphenation can happen? It would be better to mark parts of the word for non-hyphenation.